Published: Dec. 23, 2014 at 07:59 p.m. Updated: Dec. 24, 2014 at 01:18 p.m. The Pro Bowl selection process has been improved in recent years, but mistakes are still made. That's why we bring you our third annual Pro Bowl snub list. As always, we only believe you can call a player a "snub" if you name the player you'd remove from the Pro Bowl. Sure, it would be nice to give Philip Rivers or Russell Wilson the honor. But what quarterback are you taking out: Romo? Big Ben? Manning? With all respect to Ndamukong Suh, Levy is the heart and soul of the Lions' defense. He's one of the smartest players in the league, seemingly knowing what play the opposing offense will run before they do it. He can cover tight ends and is incredible pursuing runners. Levy had a far better year than Clay Matthews, who made the team off name recognition. The former Indianapolis Colts stalwart was a revelation this season in San Francisco. He's been one of the five best defensive backs at either position this season, making big plays week after week. Bethea was a far stronger choice than Seattle's Kam Chancellor, who was ineffective for much of the season while playing hurt. T.J. Ward was also not an inspired pick after a middling season. The immortal Chris Wesseling named Cox one of the best ten best defensive players of the year, rightly noting that only J.J. Watt outplayed him in the second half of the season. We love watching Cox shed blocks with ease and disrupt running plays in the backfield. There are no bad picks at defensive end, but Cox deserves inclusion over Mario Williams and Clay Matthews. 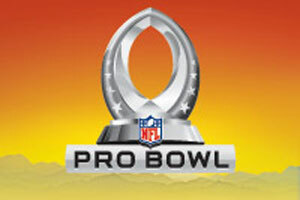 The Pro Bowl should be about what players matter in the NFL. What players that fans want to see. Beckham has made as big a per-game impact as any rookie wide receiver since Randy Moss. Voters held Beckham's missed games against him, but Calvin Johnson and A.J. Green both made the team despite similar missed snaps. And Beckham has been more productive than the big names at the position, averaging far more than Green and Johnson per game. Tate, meanwhile, has been more productive overall than Megatron. Few receivers were more valuable in the first half of the season; Tate won multiple games on his own. It's a tough call, but we'd leave Green and Johnson off the list this season at a wildly deep position. When the Patriots have needed a big play this season, Hightower has delivered. He's listed at outside linebacker, but gets extra credit for playing inside and out all season. What other player racked up eight sacks while also being a tough run stopper and playing well in coverage. Teammate Jamie Collins had a similar breakout season, but Hightower was easily the better player. We'd remove Tamba Hali from the mix to insert Hightower. Forte plays on a team that refuses to run the ball. He plays for a quarterback that is terrible checking out of run plays when he is facing a bad defensive look. Forte is still third among all players in yards from scrimmage, in part because he has 94 catches for 785 yards receiving. That's essentially Jimmy Graham's receiving production, with 1,000 rushing yards thrown in for free! Let's kick LeSean McCoy off the team; his season was erratic until late. There were some other noteworthy great players this season that I couldn't quite put on my snubs list because they were stuck at loaded positions. Philip Rivers, Muhammad Wilkerson, Justin Forsett, and Everson Griffen would qualify in this category. Outside linebacker was not so loaded this year, and that's why Kendricks and Davis deserve mention over Clay Matthews (replaced above), Tamba Hali and Elvis Dumervil. Davis is a sentimental pick after two outstanding seasons coming off three ACL surgeries. But he's earned it. Kendricks has quietly emerged as a week-to-week force. Rookie Khalil Mack would have also been a fine pick. Honorable mention snubs: Everson Griffen, Vikings; Philip Rivers, Chargers; Antonio Gates, Chargers; Justin Forsett, Ravens; Muhammad Wilkerson, Jets; Sheldon Richardson, Jets; Lavonte David, Buccaneers; Michael Bennett, Seahawks; Devin McCourty, Patriots; Khalil Mack, Raiders; and Harrison Smith, Vikings. The latest Around The NFL Podcast previews every Week 17 game and breaks down the playoff picture. Find more Around The NFL content on NFL NOW.